The power of Paparazzi is in its simplicity. Choose your Starter Kit, pick a location for your Launch Party and invite your friends to come and shop. Then do it again and again! New styles are added daily, which means you can always restock with the hottest trends and your customers will love you for it. 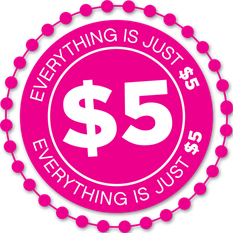 Party as often as you want to and earn 45% commission on every accessory you sell. Please note that we cannot ship to PO boxes. Please select how you would like to receive your commissions. Commissions are paid monthly either by Direct Deposit (FREE) or Check ($2.50 fee). This is the password that you, as a Consultant, will use to access the Back Office. Password requires a minimum of 8 characters. Password must contain at least one letter and one non-letter character. 1. I understand that as an Independent Consultant for Paparazzi (“Paparazzi”): a. I have the right to offer for sale Paparazzi products and services in accordance with these Terms and Conditions. b. I have the right to enroll persons in Paparazzi. c. If qualified, I have the right to earn commissions pursuant to the Paparazzi Compensation Plan. 2. I agree to present the Paparazzi Marketing and Compensation Plan and Paparazzi products and services as set forth in official Paparazzi literature. 3. I agree that, as a Paparazzi Consultant, I am an independent contractor and not an employee, partner, legal representative, or franchisee of Paparazzi. I agree that I will be solely responsible for paying all expenses which I incur in my business, including, but not limited to, travel, food, lodging, secretarial, office, long distance telephone and other expenses. I UNDERSTAND THAT I SHALL NOT BE TREATED AS AN EMPLOYEE OF PAPARAZZI FOR FEDERAL OR STATE TAX PURPOSES. Paparazzi is not responsible for withholding and shall not withhold or deduct from my bonuses and commissions, if any, FICA or taxes of any kind unless required by law. 4. I have carefully read and agree to comply with the Paparazzi Policies and Procedures, the Paparazzi Marketing and Compensation Plan, which are incorporated into and made a part of these Terms and Conditions (these three documents shall be collectively referred to as the “Agreement”). I understand that I must be in good standing and not in violation of the Agreement to be eligible for bonuses or commissions from Paparazzi. I understand that the Paparazzi Policies and Procedures and/or the Paparazzi Marketing and Compensation Plan may be amended at the sole discretion of Paparazzi, and I agree to abide by all such amendments. Notification of amendments shall be posted on Paparazzi’s website. Amendments shall become effective 30 days after publication. The continuation of my Paparazzi business or my acceptance of bonuses or commissions shall constitute my acceptance of any and all amendments. 5. The term of this Agreement is one year. If I fail to annually renew my Paparazzi business through the purchase of inventory, or if it is canceled or terminated for any reason, I understand that I will permanently lose all rights as a Consultant. I shall not be eligible to sell Paparazzi products and services, nor shall I be eligible to receive commissions, bonuses, or other income resulting from the activities of my former downline sales organization. In the event of cancellation, termination, or nonrenewal, I waive all rights I have, including, but not limited to, property rights to my former downline organization and to any bonuses, commissions or other remuneration derived through the sales and other activities of my former downline organization. Paparazzi reserves the right to terminate all Consultant Agreements upon 30 days notice if the Company elects to: (1) cease business operations; (2) dissolve as a business entity; or (3) terminate distribution of its products and/or services via direct selling channels. Consultant may cancel this Agreement at any time and for any reason upon written notice to Paparazzi at its principal business address. 6. I may not assign any rights under the Agreement without the prior written consent of Paparazzi. Any attempt to transfer or assign the Agreement without the express written consent of Paparazzi renders the Agreement voidable at the option of Paparazzi and may result in termination of my business. 7. I understand that if I fail to comply with the terms of the Agreement, Paparazzi may, at its discretion, impose upon me disciplinary sanctions as set forth in the Policies and Procedures. If I am in breach, default or violation of the Agreement at termination, I shall not be entitled to receive any further bonuses or commissions, whether or not the sales for such bonuses or commissions have been completed. 8. Paparazzi, its parent or affiliated companies, directors, officers, shareholders, employees, assigns, and agents (collectively referred to as “affiliates”), shall not be liable for, and I release Paparazzi and its affiliates from all claims for consequential and exemplary damages for any claim or cause of action relating to the Agreement. I further agree to release Paparazzi and its affiliates from all liability arising from, or relating to, the promotion or operation of my Paparazzi business and any activities related to it (e.g., the presentation of Paparazzi products or Compensation and Marketing Plan, the operation of a motor vehicle, the lease of meeting or training facilities, etc.) and agree to indemnify Paparazzi for any liability, damages, fines, penalties, or other awards arising from any unauthorized conduct that I undertake in operating my business. 9. The Agreement, in its current form and as amended by Paparazzi at its discretion, constitutes the entire contract between Paparazzi and myself. Any promises, representations, offers, or other communications not expressly set forth in the Agreement are of no force or effect. 10. Any waiver by Paparazzi of any breach of the Agreement must be in writing and signed by an authorized officer of Paparazzi. Waiver by Paparazzi of any breach of the Agreement by me shall not operate or be construed as a waiver of any subsequent breach. 11. If any provision of the Agreement is held to be invalid or unenforceable, such provision shall be severed, and the severed provision shall be reformed only to the extent necessary to make it enforceable. The balance of the Agreement will remain in full force and effect.12. This Agreement will be governed by and construed in accordance with the laws of the State of Utah, without regard to principles of conflicts of laws. In the event of a dispute between a Consultant and Paparazzi arising from, or relating to, the Agreement or the rights and obligations of either party, the parties shall attempt in good faith to resolve the dispute through nonbinding mediation as more fully described in the Policies and Procedures. Paparazzi shall not be obligated to engage in mediation or arbitration as a prerequisite to disciplinary action against a Consultant. If the parties are unsuccessful in resolving their dispute through mediation, the dispute shall be settled totally and finally by arbitration as more fully described in the Policies and Procedures. Notwithstanding the foregoing, Paparazzi shall be entitled to bring an action before the State or Federal Courts in Salt Lake County, State of Utah, seeking a restraining order, temporary or permanent injunction, or other equitable relief to protect its intellectual property rights, including, but not limited to, actions to protect its customer and/or Consultant lists as well as other trade secrets, trademarks, trade names, patents, and copyrights. 13. The parties consent to jurisdiction and venue before any federal or state court in Salt Lake County, State of Utah, for purposes of enforcing an award by an arbitrator, an action by Paparazzi for equitable relief, or any other matter not subject to arbitration. 14. Louisiana Residents: Notwithstanding the foregoing, Louisiana residents may bring an action against the Company with jurisdiction and venue as provided by Louisiana law. 15. Montana Residents: A Montana resident may cancel his or her Consultant Agreement within 15 days from the date of enrollment and may return his or her Enrollment for a full refund within such time period. 16. If a Consultant wishes to bring an action against Paparazzi for any act or omission relating to or arising from the Agreement, such action must be brought within one year from the date of the alleged conduct giving rise to the cause of action, or the shortest time permissible under state law. Failure to bring such action within such time shall bar all claims against Paparazzi for such act or omission. Consultant waives all claims that any other statute of limitations applies. 17. I authorize Paparazzi to use my name, photograph, personal story and/or likeness in advertising or promotional materials and waive all claims for remuneration for such use. 18. A faxed copy of the Agreement, as well as a digitally scanned copy, or digitally displayed and agreed to, shall be treated as an original in all respects. NOTICE OF RIGHT TO CANCEL You may CANCEL this transaction, without any penalty or obligation, within THREE BUSINESS DAYS from the above date (5 business days for Alaska residents). If you cancel, any property traded in, any payments made by you under the contract or sale, and any negotiable instrument executed by you will be returned within TEN BUSINESS DAYS following receipt by the seller of your cancellation notice, and any security interest arising out of the transaction will be canceled. If you cancel, you must make available to the seller, at your residence, in substantially as good condition as when received, any goods delivered to you under this contract or sale, or you may, if you wish, comply with the instructions of the seller regarding the return shipment of the goods at the seller’s expense and risk. If you do make the goods available to the seller and the seller does not pick them up within 20 days of the date of your Notice of Cancellation, you may retain or dispose of the goods without any further obligation. If you fail to make the goods available to the seller, or if you agree to return the goods to the seller and fail to do so, then you remain liable for performance of all obligations under the contract. To cancel this transaction, mail or deliver a signed and dated copy of this Cancellation Notice or any other written notice, or send a telegram to Paparazzi 36 North 1000 West, Hurricane, UT 84737 NOT LATER THAN MIDNIGHT of the third business day following the date of your application. I agree to the Enrollment Terms & Conditions as presented here.